MidNight Balloon Meeting´s (MBM) main idea is to give teams a unique experience to fly their balloon at midnight. This experience is possible only in northern hemisphere and in Finland where we have enough infrastructure (roads and launch and landing places). 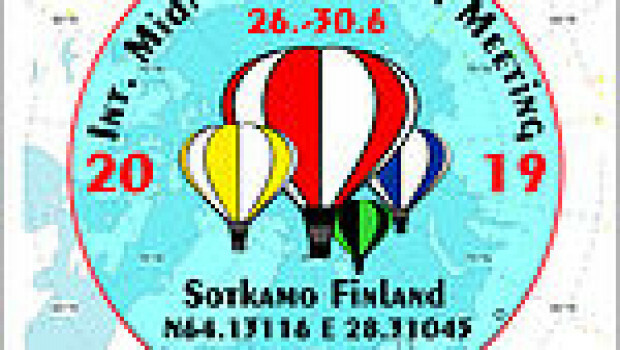 All flights will be flown at midnight starting 23.30 local time from Haapala farms fields in the middle of Sotkamo. These flights will be a 'hare and hounds' challenge. The first balloon to launch being the hare , all other balloons launching shortly after are the hounds and must follow or 'chase' the lead balloon . Flight duration is around one hour , flying at midnight from one day to another. This meeting is not only ballooning, but much more. We will show to international participants the culture and lifestyle in Sotkamo, explore hills, forests and lakes and of course end every flight in sauna!